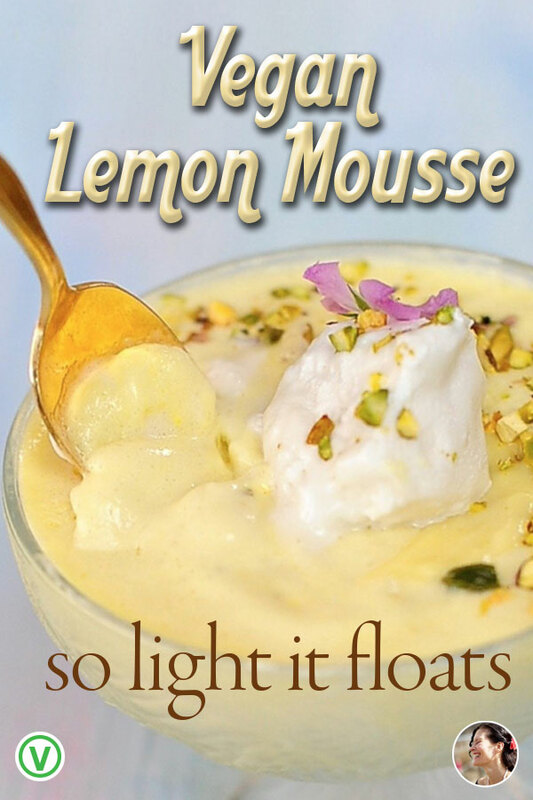 I can only describe this lemon mousse as a lemon cloud. Make a batch of my easy, tart and creamy, Lemon Curd and gently fold it through whipped Aquafaba until you have a pale, impossibly light dessert with bright lemon flavor. Spoon it into dessert bowls and you have a wonderful lemon mousse or Citron Fromage as my mother called it. Sometimes I scoop it into dessert bowls and pop them in the freezer before dinner. 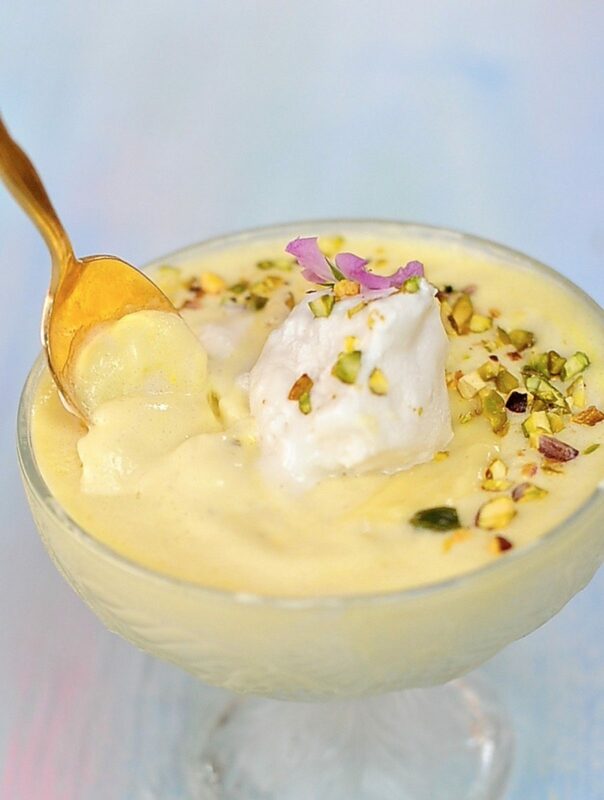 After dinner you will have a luscious lemony semifreddo to offer your guests. 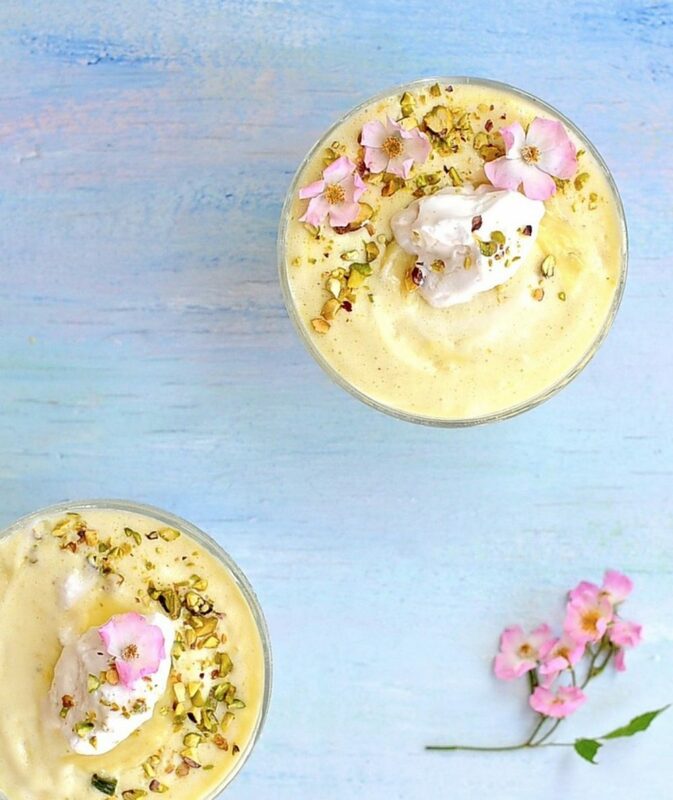 Vegan Lemon Mousse with summer roses and native honey suckle. When we moved to the dilapidated Victorian house we now call home, an expert arborist told me I should cut down all the trees in my yard save for one Sugar Maple. Like the Red Queen in Alice he ordered Off with their their heads! I demurred. A big mistake, he told me I was making a big mistake. You’ll never have a garden, he told me, too much shade. Some are blinded by the sun others by the shade. 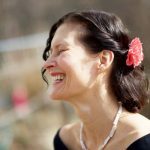 That first year I stared longingly at the garden out my window, well it was a garden in my eyes only, to the rest of the world it appeared a graveled over parking lot housing 8 cars, a tractor, and a snow plow. We set ourselves to restoring the house we had bought. The Electric company refused to turn the electricity on because the wiring was so old none of them had ever seen its like. We tore out every mold eaten wall and water stained ceiling. Standing at the window, knee deep in crumbled plaster, I would stare into the yard cataloging the depths of shade: morning light hit in wide skating sheets through the center area, pillars of light pooled under the sugar maple at midday and the back garden was dappled like a cheetah in late afternoon. Hostas seemed to be the resounding answer by those whose opinions I never asked. Everyone told me: You’ll never be able to grow your roses here. My dad was the one who taught me a more important lesson. Hanne, he would say, people say I have a green thumb, but there is no such thing as a green thumb. I pay attention that is what I do. I notice what works and what doesn’t. That man could take an orchid plant that hadn’t bloomed in 10 years and have it bursting with buds within a month. People would bring him their worn out orchids and leave them swaddled on his door step like abandoned babies. I spent that year raking up the thick layer of gravel that coated the yard and while I raked I payed attention, to the slopes of the garden, where rain fell and where it pooled, where fingers of sunlight stroked the ground. Here is how I used to put myself to sleep at night. In my mind’s eye I would plant the garden, shrubs, vines and perrenials. I would switch through about five years of growth one year at a time and see the pattern that emerged. I would lay paths and build arbours and fall asleep to twining clematis and apple blossoms. Every night I started the garden fresh with new patterns, moving hydrangeas and viburnum around the garden as one would plan a quilt. The garden that blooms now outside my window in a wild profusion of roses and honeysuckle, columbines and clematis truly sprang from my dreams. Shade is a lemon mousse on a midsummers day. Decadent, Silky Dark Chocolate Orange Mousse. 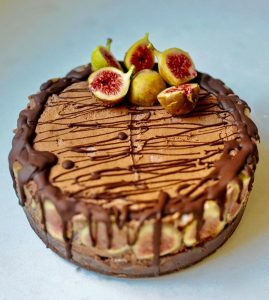 If you really want impress you mother-in-law then serve her a slice of Vegan Chocolate Mousse Cake. I realize that not everyone has access to firm boxed silken tofu. Mori-Nu brand is hands down my favorite. I buy it in bulk and keep it in the cupboard until I need it. Yup, no refrigeration needed. 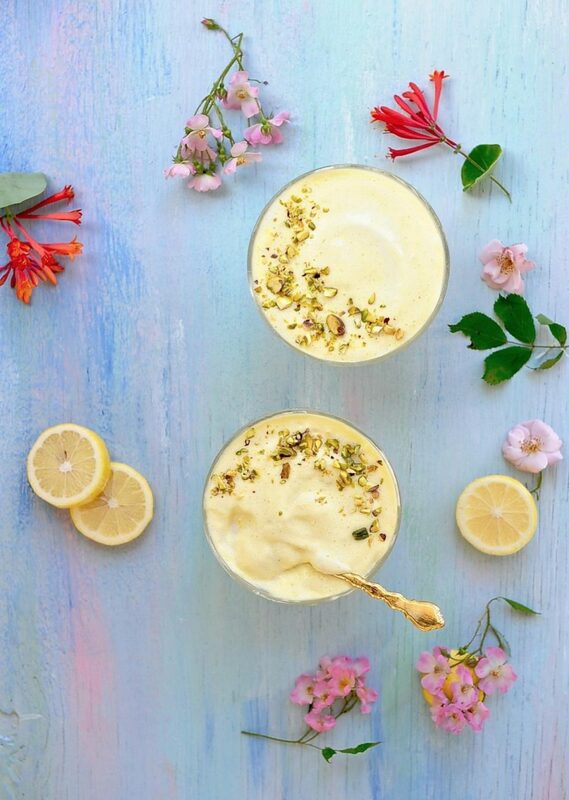 Lemon mousse makes an elegant end to an evening whether eaten with friends in the garden on in your pjs in bed. This recipe will make more curd than you need. Use the left over curd on ice cream, with waffles and pancakes, on fresh fruit, on oatmeal etcetera. You get my drift there are few things it isn't wonderful on. If you really love someone give them a tiny glass jar of it, tied with a ribbon and a note. Place lemon juice, lemon zest, tofu, well stirred coconut milk, water, sugar, cornstarch, salt, and turmeric or 1-2 drops yellow food dye (optional) in blender. The curd will keep in the fridge for about 1 1/2 weeks. The curd must be completely cooled before you use it for the lemon mousse. Scoop out 1/2 cup of the lemon curd to use in the mousse and place the rest in a covered jar in the refrigerator. Gently stir the lemon curd through the aquafaba whip using a folding motion with a rubber spatula. When it is incorporated stop stirring or you will deflate to mousse. Too little folding is better than too much. 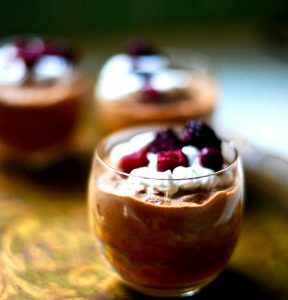 Scoop your mousse into waiting chilled dessert bowls or glasses. 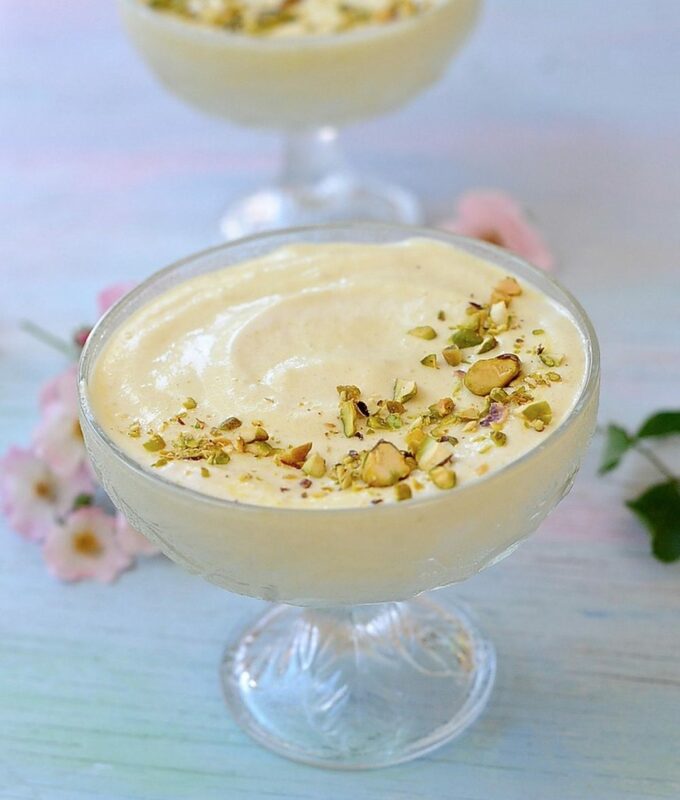 If not eating right away then place into the fridge for up to an hour or in the freezer for an hour if you want a semifreddo like consistency. Those pictures… Johanne you are an artist. ..
Oh my sweet. I love you too! 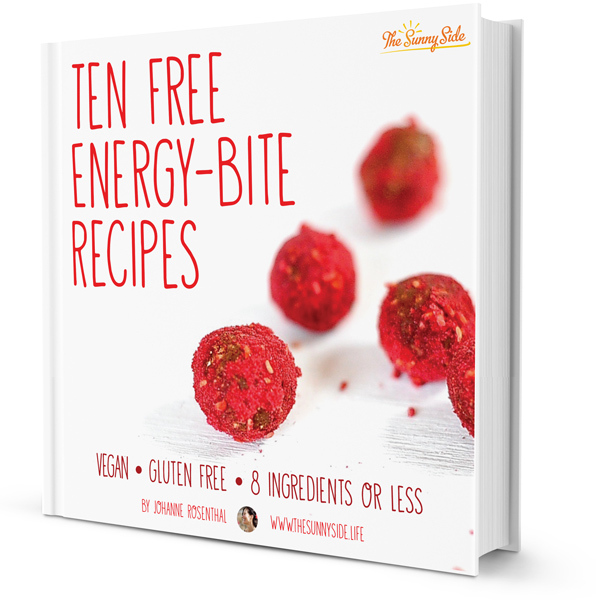 The recipe sounds dreamy too! Funny my husband said I should include photos of the garden but I told him no one would be interested. I will post some photos of the garden then. Fun I get to avoid chores and go out and photograph. Thank you!!! Holy man, the whole time I was reading the post, I could hardly wait to see the pictures of your garden . . .
Oh I will get on photographing the garden ASAP. I promise!!! Coconut milk , do you mean the canned type? Or just a general non dairy milk? I do mean canned. I will change it in the post itself. If not I have used soy milk and it works fine. Just not as voluptuous a mouth feel as coconut. Thanks ! Will try tonight! ‘Whipped aquafaba’ – the very sound of that melts in my mouth and can be folded into a thousand poems. Oh Hanne. “In an island of bitter lemons / Where the moon’s cool fevers burn / From the dark globes of the fruit…” – Larry Durrell, Bitter Lemons (1957). When I visit that island of bitter lemons this summer I will bring the book – which you gave me – and find his house and maybe some lemons along the way. Please post a pair of before & after photos of the garden. When I look at pictures of what the old backyard used to look like – little more than a parking lot of compacted, oil-stained gravel plus those redeeming trees – I’m wowed every time at what you’ve wrought with your imagination and years of gritty physical labor. A lush oasis blooming in the dessert is no less astonishing. And…you made me cry, good tears. Your support and remembrance combines, twines and supports my own memories, one could not exist without the other. Yes I do plan to have a garden section of the blog for musing and photos. When I was young I could read a whole Lawrence Durrell book in a sitting, greedily. In those days I could eat a jar of pickles and not feel the effect. Now that I’m older I can only read him in tiny sips like brandy. The beauty overwhelms me. My email went kaput btw and Hanaan switched me to another. I don’t know when it got wonky in the last 2 days. Didn’t mean to make you cry, but it’s true that sometimes tears are good tears even if they are also awful ones at the same time. I wrote “an oasis blooming in the dessert is no less astonishing.” I meant “in the DESERT is no MORE astonishing.” I need an editor. 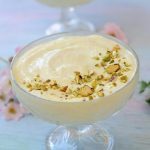 But mixing up DESSERT and DESERT maybe makes an odd kind of sense in the context of a FOOD blog which often gets its inspiration from the NEAR EAST. I love mix ups like that. Playing with words and switching the emphasis. I suppose that when you garnish a sweet with edible flowers it could be called “an oasis blooming in the dessert “. Oh I so love lemon! This looks incredible! Another one I must try! How sweet are you. The world would be a little darker without citrus. This is really tasty and a true treat. No one believes it was made with chickpea broth! Healthy, tasty and unique! How wonderful! I’m so glad you are happy with this dessert,it is a family favorite over here. 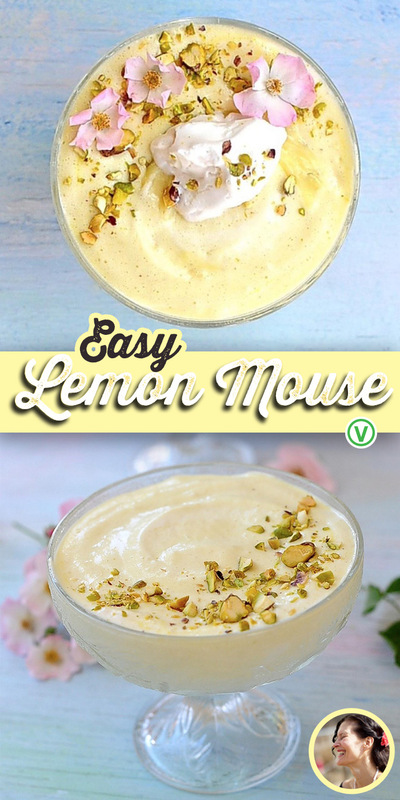 Oh my this is the best tasting vegan lemon curd I have tried and the mouse was delicious. I have a lot of limes on my tree so used them instead, thank you. ooh lucky you, a lime tree!!! I have a Kaffir lime and Meyer lemon but I need to bring them indoors in winter. I’m glad you like it! What firmness of silken tofu do you recommend? This looks and sounds so very lovely! Good question and thank you. I live in the States and buy Mori-nu brand silken tofu that is called “firm”. Hello! I’m really excited to make this mousse for a dinner party. The guest list got a little out of hand and I’m planning on serving it to 10 guests. Do you think I should make a double batch of lemon curd or would 1.5 do? I’m also not sure on whether to make the aquafaba whip in two batches in the food processor or not. 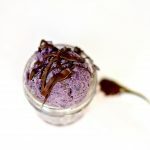 I’d very much appreciate any advice you can give me, I’m a bit nervous because I’m cooking for omnivores and I want my vegan menu to wow them! Catherine, Hi, I think your omni friends will be delighted with your kitchen alchemy. I understand your nervousness! I feel the same way when cooking for people who aren’t vegan, a certain kind of pressure for sure. I would definitely whip in two batches. Since I don’t know your size container better safe then sorry. Please tag me on Instagram so I can see the feast you prepare. Good luck. Your friends are so lucky! This recipe was a star in our holiday family celebrations, and because of your instructions, it was also the best aquafaba I’ve ever made. We didn’t have enough pretty, individual serving bowls for the amount of people, so I just made one serving bowl and decorated it with the pistachios like one large crescent moon, and spooned out each portion on dessert plates along with a slice of cake made by someone else. Both vegans and non-vegans adored it. Thank you for creating such a beautiful treat.